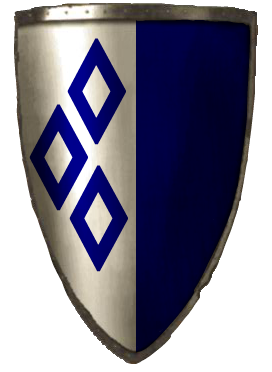 The country of Braelin is divided into six seven eight duchies and two one protectorate; every player-character is a Braelinese, Xirosi, or Archduchy of Gavell citizen. 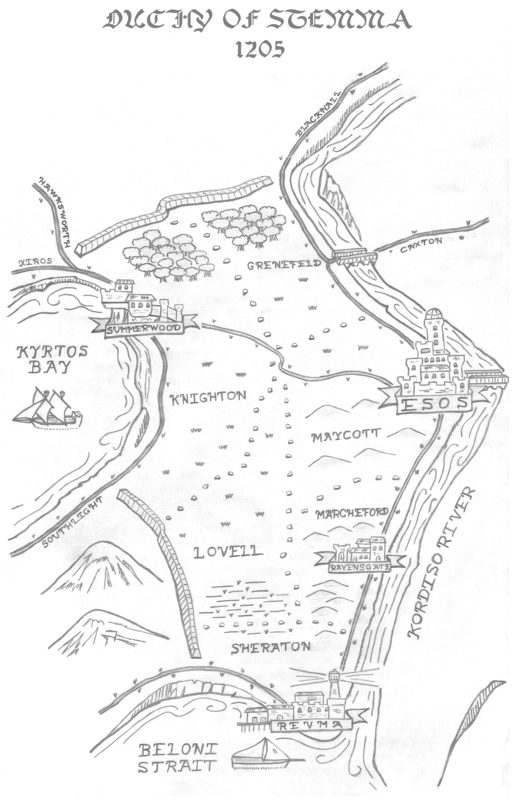 Note that Ravensgate, our game’s setting, is located in Stemma, Braelin. Every playable culture listed below is open to all players, and each has its own associated culture packet that describes the basics of role-play for that particular culture. Upon submitting your character sheet, you will receive access to the appropriate culture packet. Please note that good cultural role-play is a key element in successfully representing a culture. More generally speaking, there are three classes of people in Braelinese society. Class determines your starting package of money and items, which professions you may immediately access, and your influence and “place” in the world. Artisan – Your character is the child of a trader, a merchant, or a craftsman. You have no title, but your family is relatively well-off, and you might one day inherit your family’s trade if you train hard enough and show an aptitude for it. An artisan’s starting package is: 1 silver 3 copper (+1d6 copper), one randomly selected basic tea, and three randomly selected raw materials. Additionally, you may choose one “artisan” profession to unlock for free. Alternately, you may select a “conditional artisan” profession if you have the requisite skill(s). Commoner – Your character is the child of a peasant, a servant, a farmer, or a herdsman. You work hard for your living, but you are repaid either by having a roof over your head or by having the freedom to explore the land around you. A peasant’s starting package is 3 copper (+1d6 copper), three randomly selected basic teas, and one randomly selected raw material. Additionally, you may choose one “common” or “conditional common” profession (if you have the requisite skills) to unlock for free. 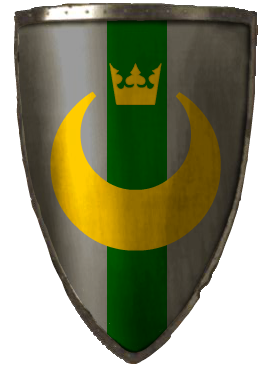 Blacknall is located in the northernmost part of Braelin, ruled over by the duke Sir Piers Blacknall and his wife, Duchess Oriana Blacknall. The duchy’s proximity to the Paranomos Mountains makes for a very cold, harsh climate; but the mountains also provide the duchy’s people with riches from extensive mines. Metal-working is an art here, and Blacknall metal-works are considered the finest in Braelin. Blacknallen attire is designed for function, with an emphasis on providing warmth and allowing for freedom of movement. Nobles often enjoy clothing trimmed with fur for extra warmth and fashion. Players choosing Blacknall as their characters’ cultural background gain the following benefit: Basic knowledge of gems, their values, and their uses. Additionally, peasants may unlock blacksmith and/or jeweler and, after 1 in-game lesson, purchase them. Finally, artisans may unlock and purchase miner, and the 1 in-game lesson requirement for blacksmith and/or jeweler is waived. Caxton is located in east-central Braelin, ruled over by the duchess Lady Knight Anne Caxton II and her husband, the duke Sir Tobias Caxton. 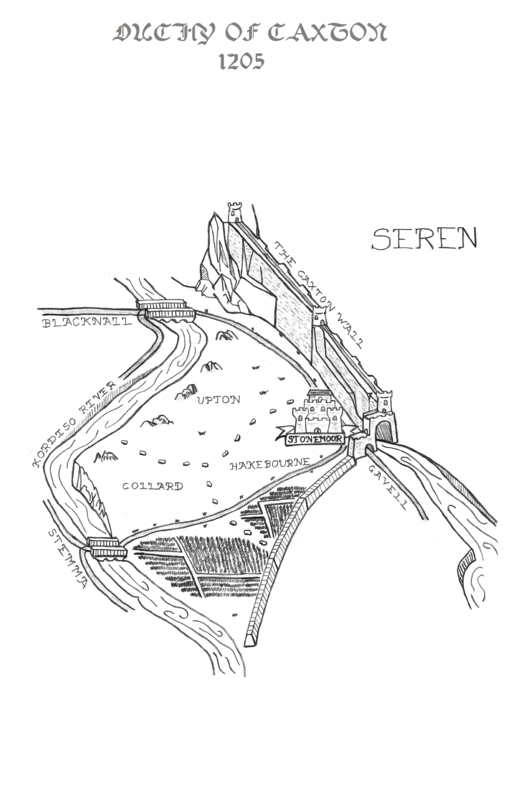 The duchy acts as Braelin’s main defense against neighboring Seren, and it is famous for the wall in the east which divides the two countries. 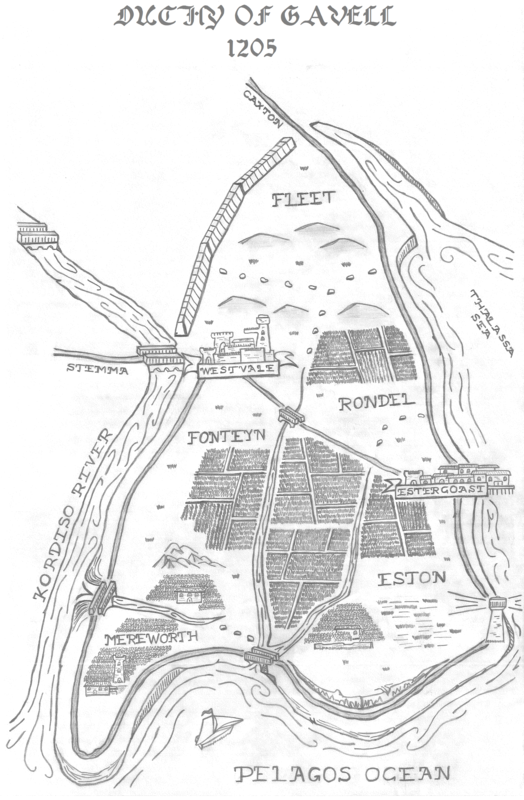 The people of Caxton are known for their technical aptitude and scholarship; runic studies are believed to have started here, and manufactured goods and magical items from Caxton are of the highest quality. Farming and beer-brewing are common in south Caxton, and their beer is highly regarded throughout Braelin. Cloth, felt, or leather woodsman’s hats are common within the duchy. 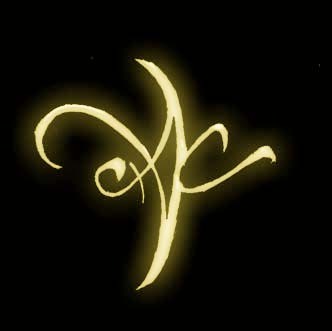 Players choosing Caxton as their characters’ cultural background gain the following benefit: Basic knowledge of the 10 runes and their general meanings. Additionally, peasants may unlock inventor and/or rune scholar, after 1 in-game lesson, purchase them. Finally, for artisans may unlock and purchase diviner as a primary profession, and the 1 in-game lesson requirement for inventor and/or rune scholar is waived. Gavell is located in the southeastern part of Braelin, ruled over by Duchess Camille Gavell and her husband, Duke Col Gavell. 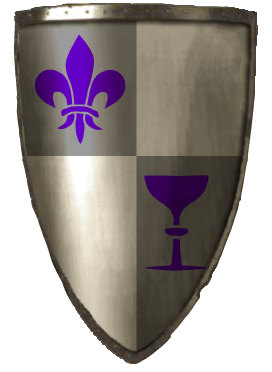 After the rebellion of 1215, the Duchy of Gavell split in half to become the independent nation of the Archduchy of Gavell, lead by Archduchess Camille Gavelle, and her husband, Archduke Col, and the still-loyal Braelinese duchy, recently dubbed Fidelle. The duchy’s proximity to the ocean has a moderating influence on the climate, which is temperate and warm. Gavell, now Fidelle is considered the “bread basket” of Braelin, its rich soil putting forth abundant crops, and their wines are famous throughout the world. The people enjoy a very high standard of living, as often reflected in their typically fine clothing (many enjoy feathers.) Self-control, understated charm, and courtly manners are highly valued in the area. Stylish cavalier hats, often decorated with feathers, are common within the duchy, although some peasants prefer to wear straw hats. 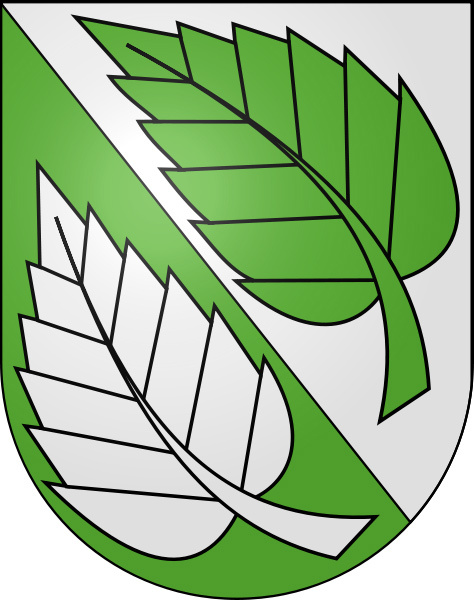 Players choosing Gavell (whether their families are now living in the Archduchy or Fidelle) as their characters’ cultural background gain the following benefit: Basic knowledge of plants, their values, and their general uses. Additionally, peasants may unlock brewer, cook, and/or poisoner and, after 1 in-game lesson, purchase it. Finally, artisans may unlock and purchase chandler, and the 1 in-game lesson requirement for brewer, cook, and/or poisoner is waived. 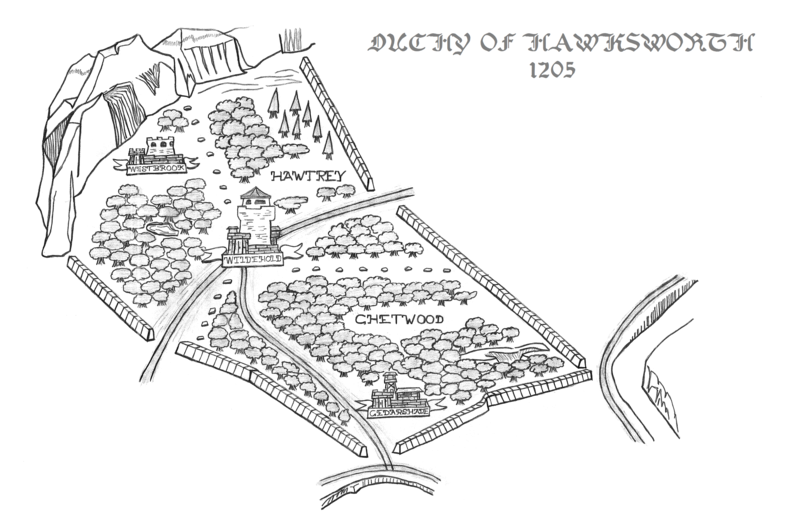 Hawksworth is located in west-central Braelin, ruled over by the duke Sir Isaac Hawksworth. The duchy is dominated by mixed forests and the climate is mostly temperate, growing colder in the northwest near the Paranomos Mountains. Hawksworth’s primary industries are forestry and hunting, leading to its dominance in leather-working and wood-carving. Hawksworthers are aware of the bountiful resources that surround them, and they let little go to waste, often wearing the hides of the creatures. Compassion, courage, and humility are three strongly emphasized traits among Hawksworthers. Players choosing Hawksworth as their characters’ cultural background gain the following benefit: The ability to skin animals, as per the Skin animal skill. 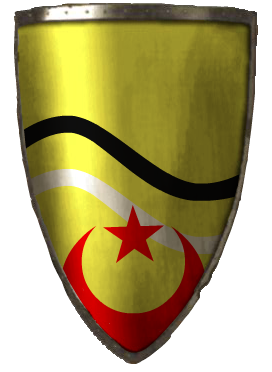 Southlight is a peninsula located in the southwestern corner of Braelin, ruled over by the duke Sir Alaire Southlight. 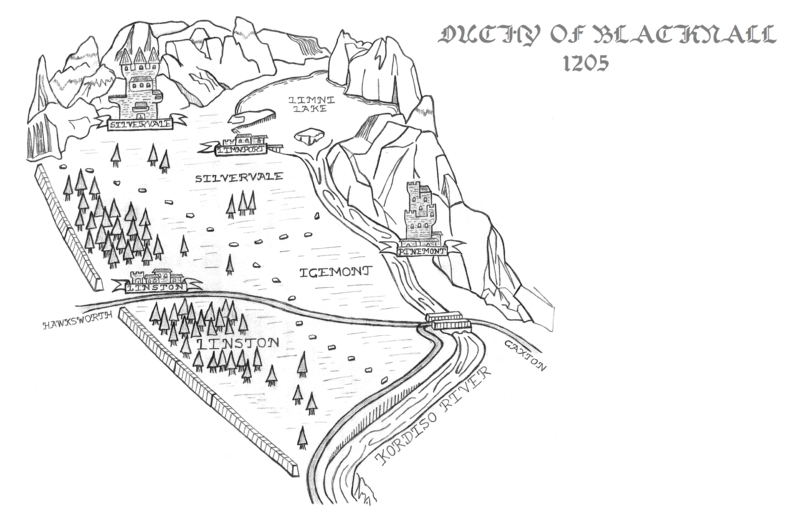 The Stily Mountains run down the duchy’s center, but its location and proximity to the ocean result in hot, dry summers and mild, wet winters. Most Southlightees make their living as fishermen, although the duchy also grows citrus fruits, olives, and some wine grapes; the nobility, in the meantime, has turned much of its attention to theater and art. There is a somewhat sharp divide between the nobility and the peasants of Southlight which is typically reflected in their clothing; the nobles tending towards richer fabrics and adornments. Orderliness, mutual respect, and community are very important aspects in Southlight’s society. Players choosing Southlight as their characters’ cultural background gain the following benefit: The name of a Southlightee contact currently living in Ravensgate. 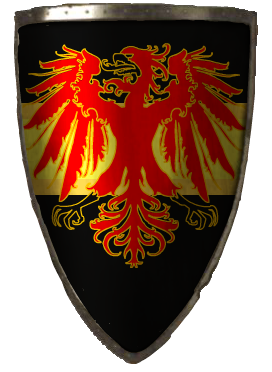 Stemma is the central duchy of Braelin and the seat of its monarchy, currently held by King Darien Odell, the so-called “Steward King.” Its landscape is dominated by low hills, moorlands, and meadows, and it boasts a temperate climate with humid summers and cold winters. Although many Stemmans are involved in herding and agriculture, the duchy is best known for its production of fine textiles and luxury goods. Because of its prime location, abundant resources, and thriving economy,Stemmans have the highest standard of living of anyone in Braelin; even the poorest families enjoy meat and dairy on a regular basis, for instance. Because of this, they tend to have well-tailored attire. Composure, sensibility, and fidelity are the most highly touted traits in Stemma. Players choosing Stemma as their characters’ cultural background gain the following benefit: Their starting package of money is automatically doubled, no matter what their social class. 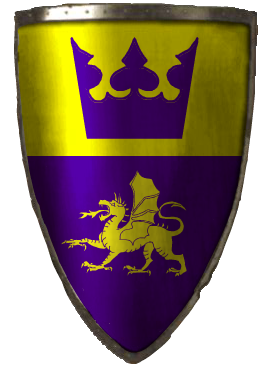 Xiros is a large country and a former protectorate of Braelin (as of winter 2015, 1215 in game time), located southwest of Hawksworth. Bound to the northwest by the Paranomos Mountains, the country is dominated by extremely arid desert-lands. The coastal areas and the nearby ocean are cold, and shipwrecks are common; its proximity combines with the climate to produce a thick fog that envelopes the coastline for half of each year. Despite the presence of relatively rich mines, the Xiros themselves are a nomadic, pastoral people who live in small “hearth groups” and herd livestock. They maintain a policy of communal land ownership, place a greater emphasis on cultural than material wealth, and are fiercely proud of their national identity. Their clothing is designed to protect wearers from the extreme temperatures of the climate. Xiros consider courage, thoughtfulness, and perception the most important traits a person can have. Note: Xiros have not adopted a Braelinese naming tradition, instead following their own customary patterns: boys’ names end in “-in” or “-ou,” girls’ names end in “-e” or “-ay,” and surnames combine the mother’s name with “-sri,” a possessive suffix. Players choosing Xiros as their characters’ cultural background gain the following benefit: The ability to see spirits, as per the Shamanic sight ability. Please note: Players selecting “noble” as their social class should have a very good reason for doing so—being a shaman’s child, for instance. Zikari is an island-nation and a protectorate of Braelin, located far off of Gavell’s eastern coast; it is technically overseen by Vicereine Ruth Warde on behalf of the monarch, although its people are actually ruled over by three native chiefs or chieftainesses. The main, habited island has a mountainous interior, large tracts of rainforest, an extensive river system, and a hot, wet climate. A resource-rich area, Zikari regularly exports gold and copper ores, exotic fruits and spices, and rare herbal ingredients. 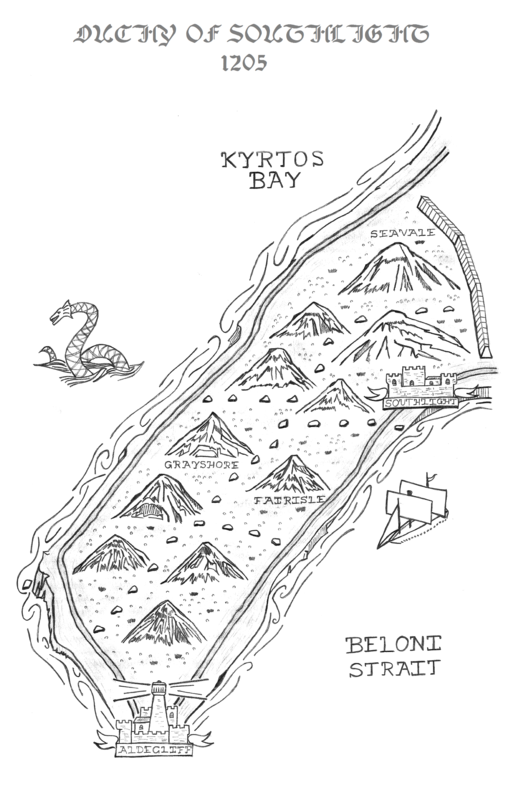 On the island itself, Zikarians are hunter-gatherers who lead relatively austere lives. Several families live together in one house, and the culture incorporates an interesting mix of collectivism and individualism. Zikarian garb is designed to allow wearers to keep cool and move quietly and each day individuals paint their faces with red paint and black accents. Self-sufficiency, wisdom, and reverence for the surrounding world are valued above all else. Note: Zikarians have adopted a Braelinese tradition of naming; however, they still retain a traditional custom of ending boys’ names in “-i” and girls’ names in “-a.” Thus, instead of Mathias, a Zikarian boy might be Mati. Players choosing Zikari as their characters’ cultural background gain the following benefit: One (1) “fate token,” which may be left at the shrine at any time during the characters’ life in exchange for a fate. Please note: Players selecting “noble” as their social class should have a very good reason for doing so—being a chief’s child, for instance—and must understand that the selection does not grant access to a title in the usual sense of the noble social class. Travelers are a culture of people who live in large groups commonly referred to as “bands,” and they travel across the world of Éras throughout their entire lives. Each band is ruled by a Guide, who also serves as a judge in the case of internal disputes. On the road itself, Travelers live frugally, but upon reaching a destination they celebrate and feast for three to seven days before moving on again. Locals welcome them as bringers of news, entertainment, and exotic goods; and Travelers strive to be helpful, peaceful, and tolerant of native customs wherever they go. 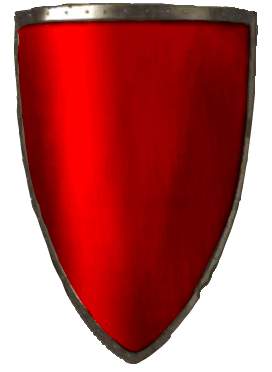 For this reason, they have been granted official permission to travel freely through Braelin, its protectorates, and Seren. The Travelers’ garb is chosen for its practicality, emphasizing versatility of use, durability over time, and ease of movement, and every Traveler wears at least one piece of gold jewelry or clothing, in honor of the Gold God. Travelers hold deference, patience, and open-mindedness in greatest esteem. Players choosing the Travelers as their characters’ cultural background gain the following benefit: A shaggy mountain pony, of relatively little beauty and less value than a normal horse, but with the same capacity to travel between moons. Please note: Players choosing to play Travelers may never select “noble” as their social class.